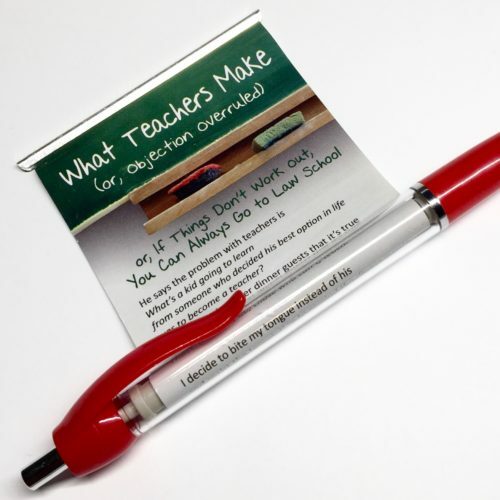 Taylor Mali’s most well known poem on a banner pen for easy access! Makes a great gift to a teacher or someone who had one, loves one, or is considering becoming one. Only available only in packs of 10 pens for $20 (plus shipping via Priority Flat Rate or Express Flat Rate).